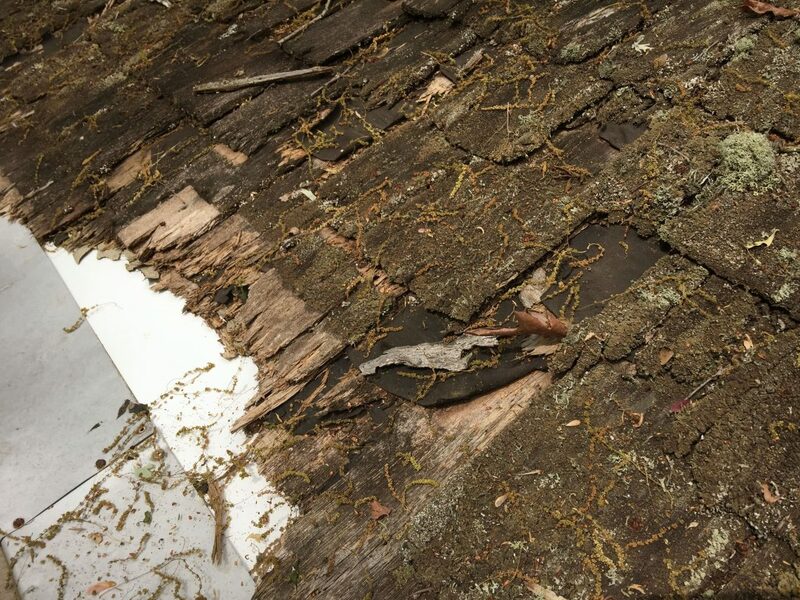 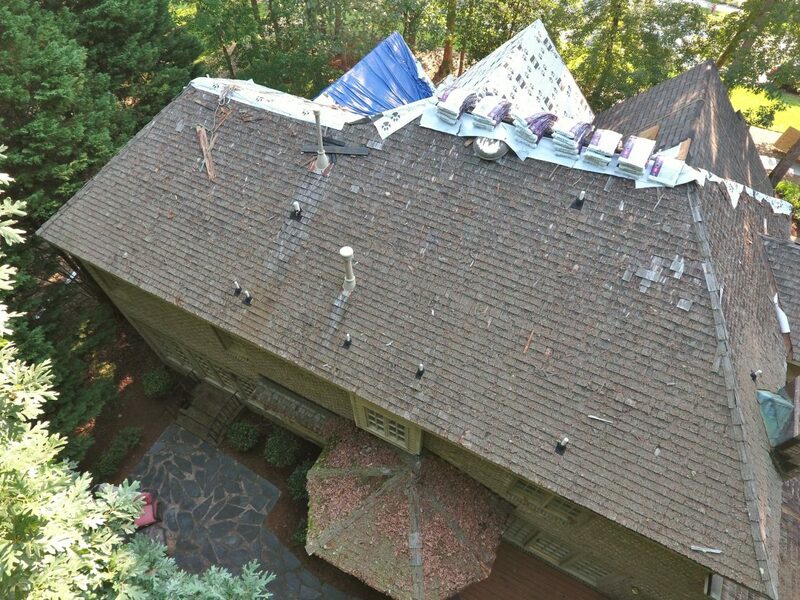 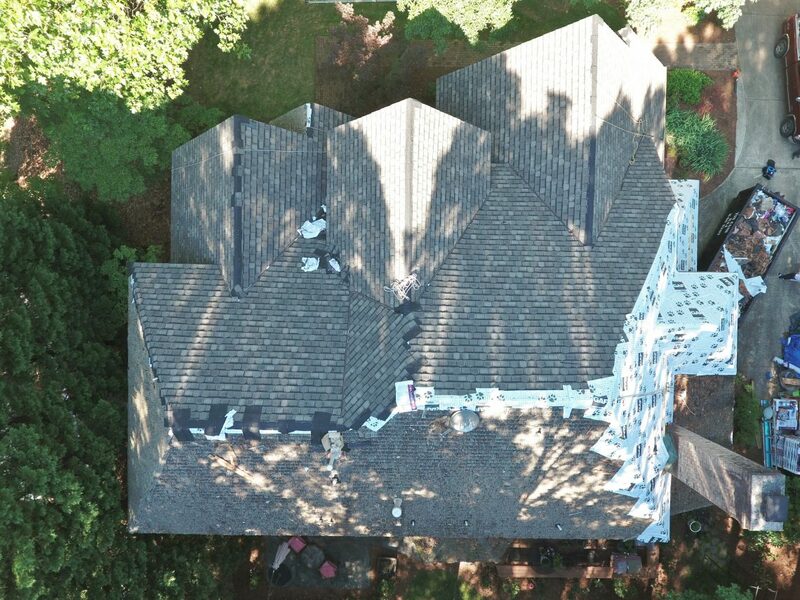 Resident #5 was an existing wood shake roofing system with a 10:12 pitch. 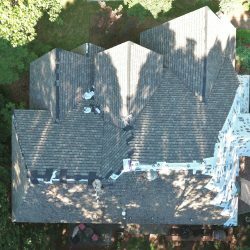 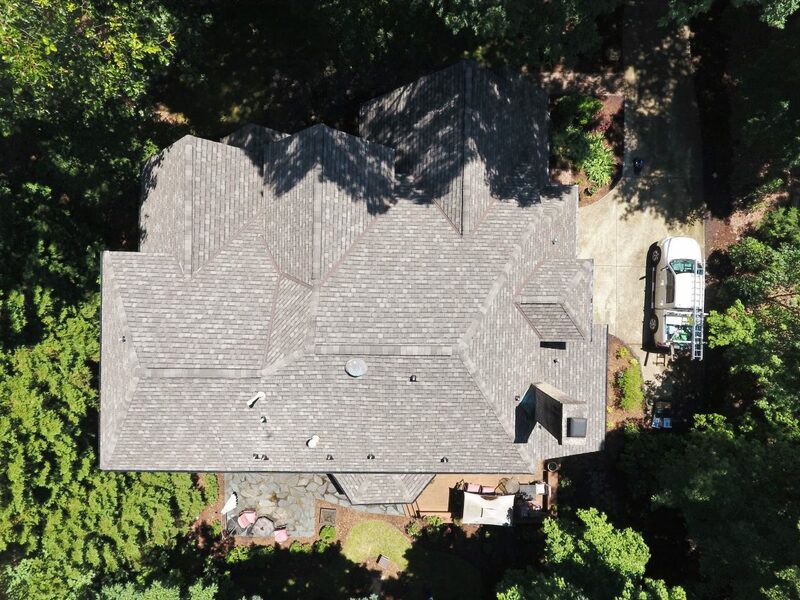 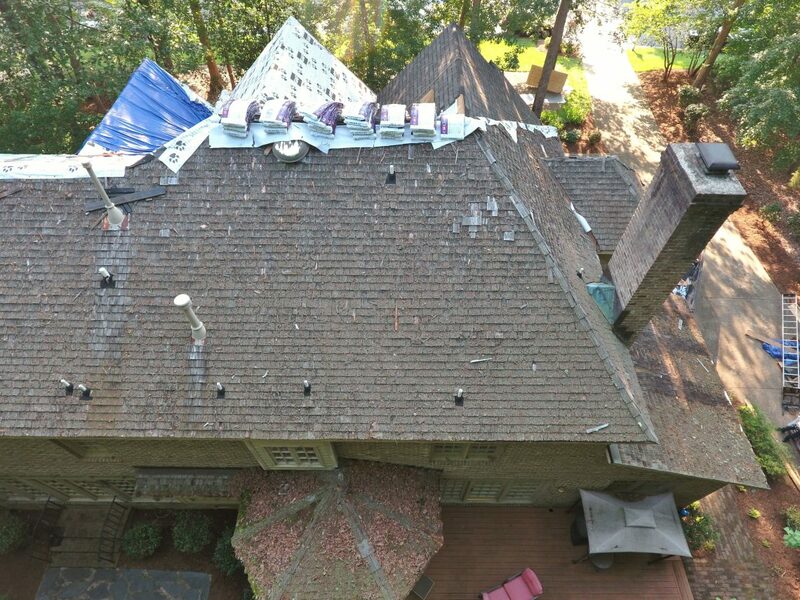 This roof had been overtaken by algae and made it extremely hard for us to maneuver initially but with our Safety Harnesses, we were able to successfully complete the project with no errors. 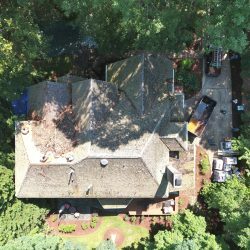 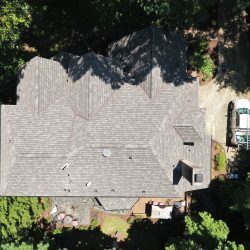 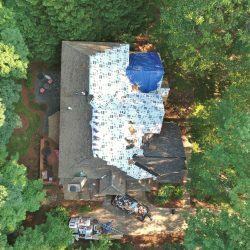 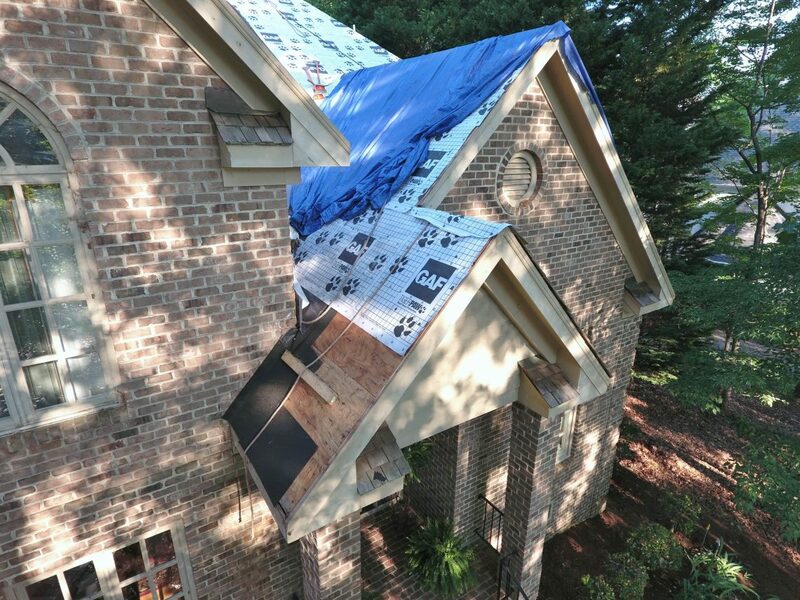 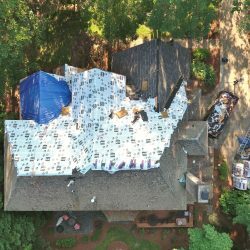 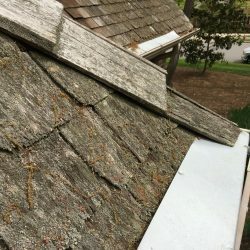 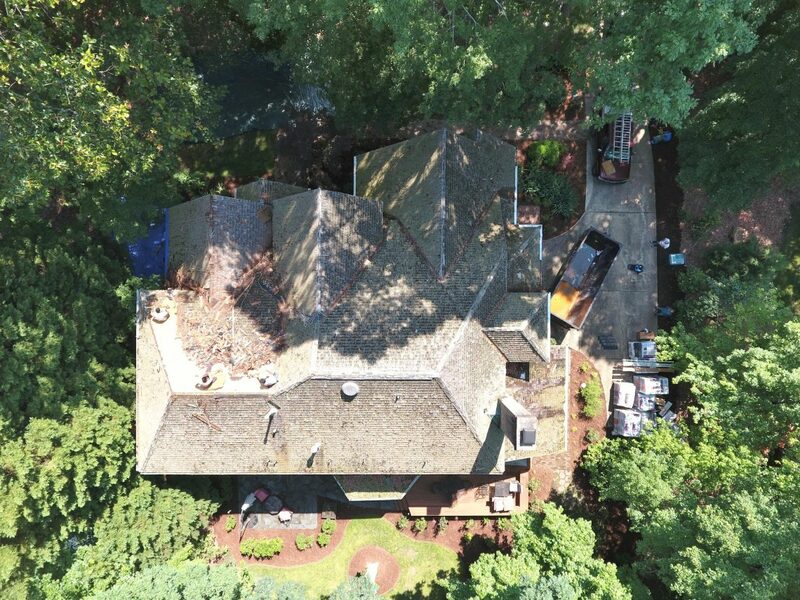 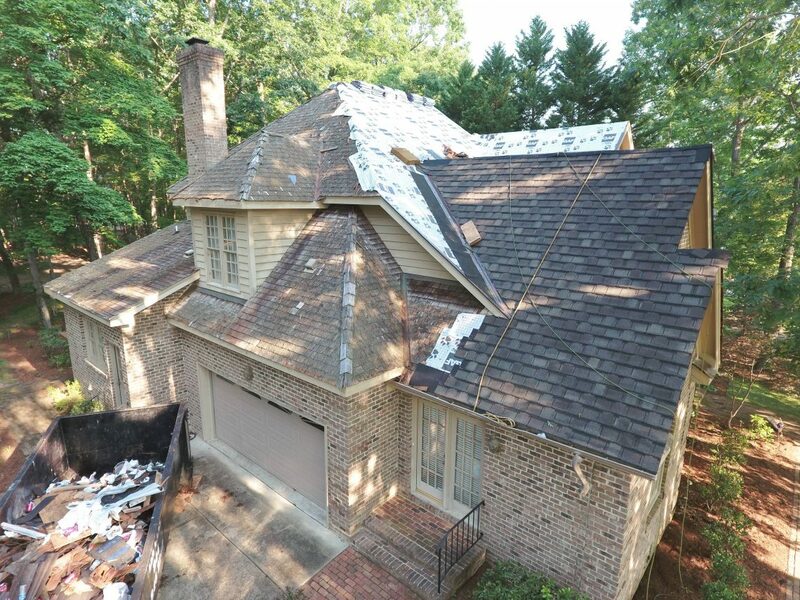 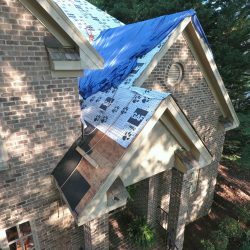 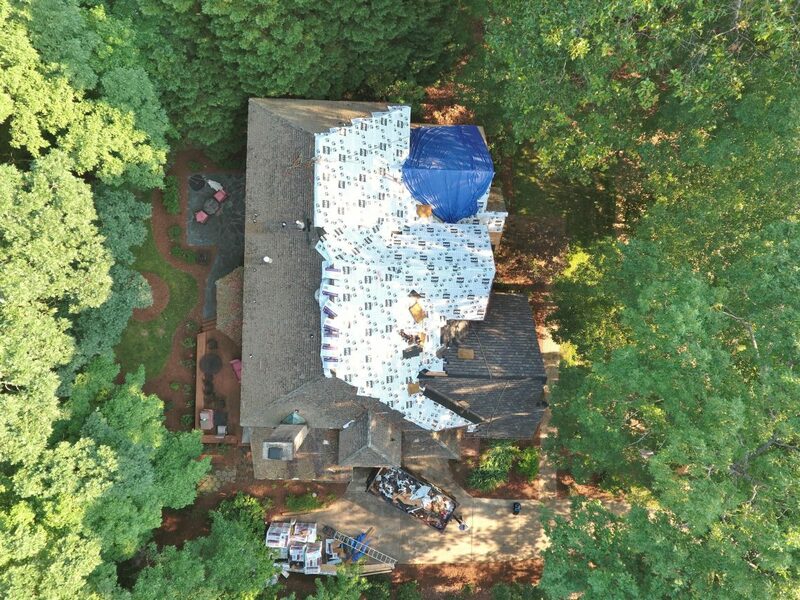 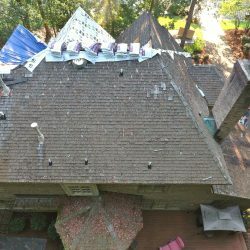 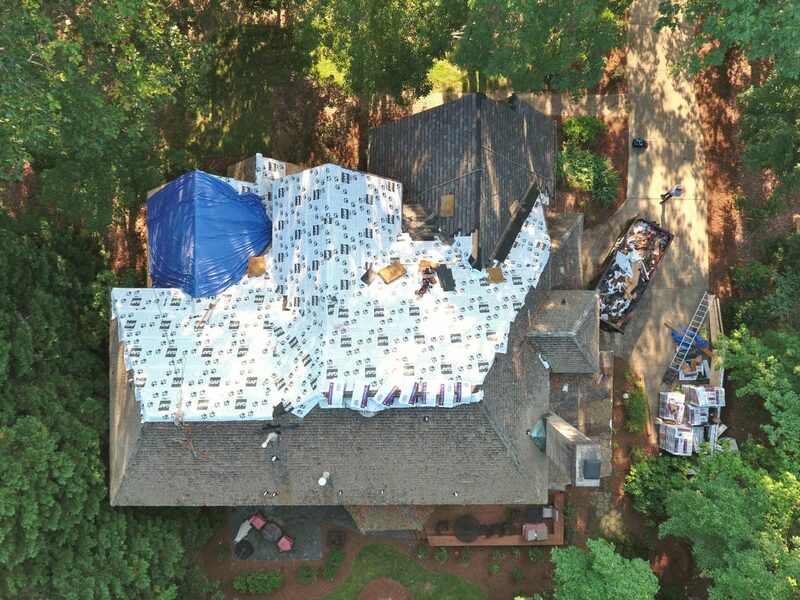 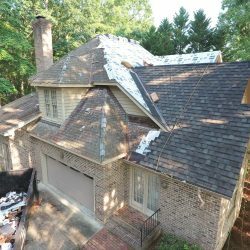 Before we started this project, the client had a significant leak occurred during a storm and with no dry weather in sight, we decided that day to tarp her roof to prevent any further damage. 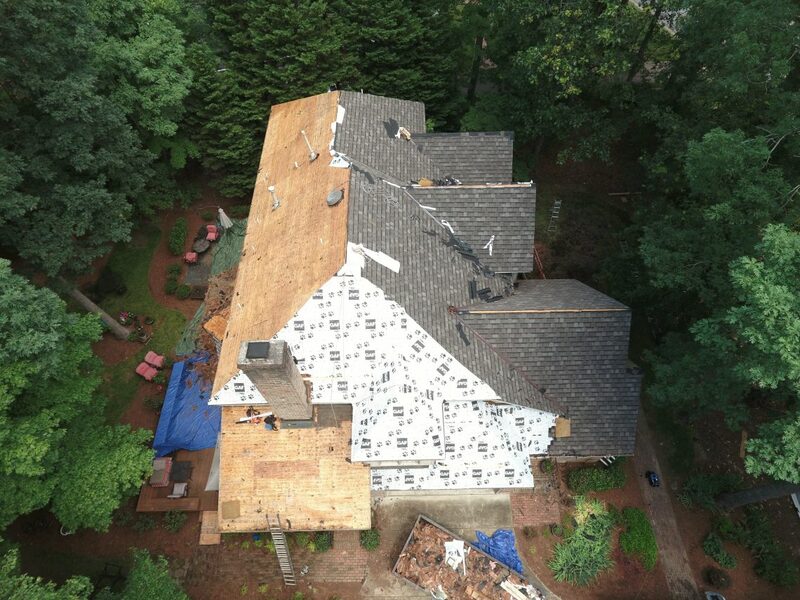 These ongoing storms were persistent throughout the project and did delay us some time. 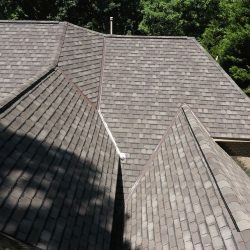 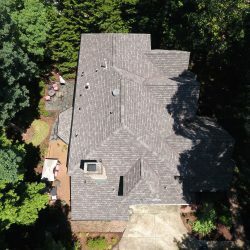 The client chose to install GAF Designer Shingle, the Camelot Shingle, along with various upgrades chosen by the client to ensure the best solution. 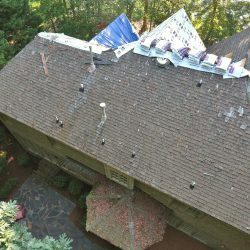 We also removed and replaced all the gutters and downspouts within the property and added gutter guards. 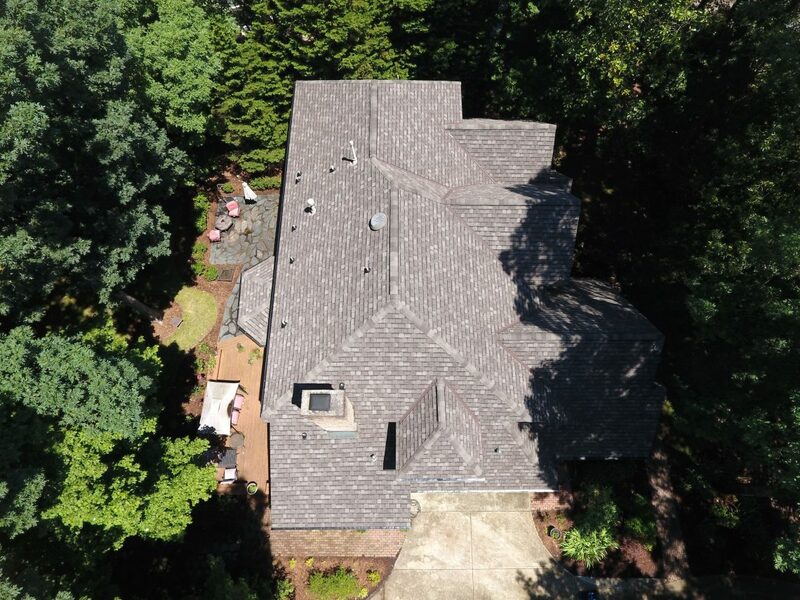 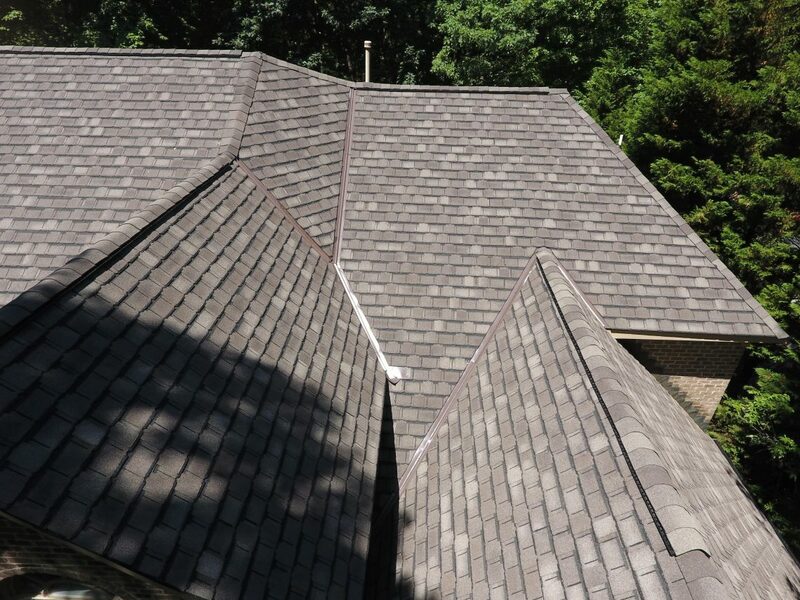 This GAF Camelot Shingle Roofing System produced one beautiful looking roof! 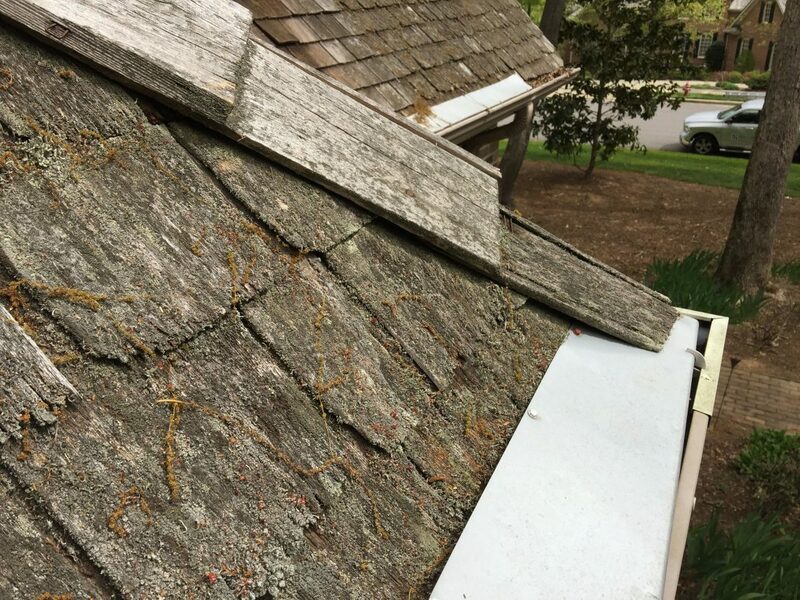 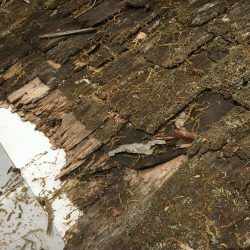 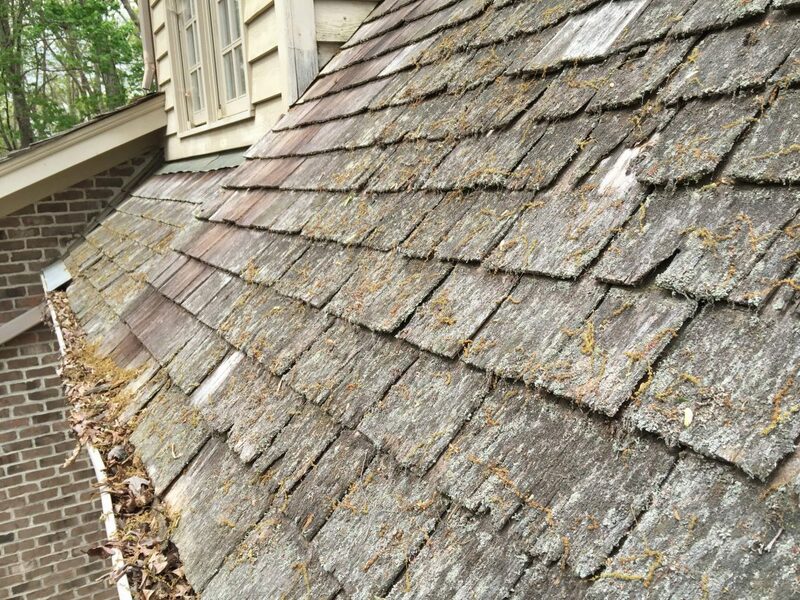 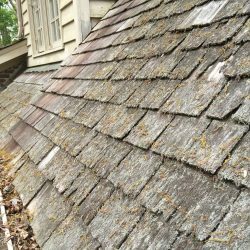 Special Challenge: The existing wood shakes were overrun with algae causing us to work slowly, not to mention that the roof slope was 10:12! 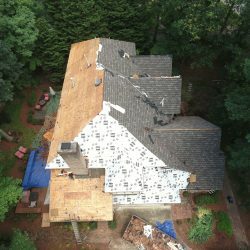 We also encountered on-going storms that delayed the project’s completion.